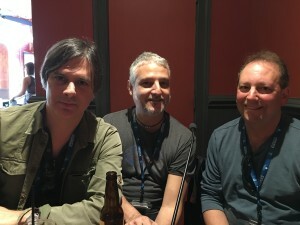 Sean McCord speaks with Mark Rozzo, Sam Erickson, and Matthew Amster about their film Hallowed Ground which made its film debut at the Virginia Film Festival on Friday at the Southern. The film is a documentary about the “sacred American space” that is Gettysburg. How do people who are drawn there think about the Civil War battle that defined the space and the history of the United States? That’s the topic the film explores.